In my ideal world, I live some place sunny that smells like sea breeze and lemon blossoms. I leave my house, wearing all white linen ensembles, sandals and large sunglasses. My skin perpetually smells of bitter orange and jasmine. Since I burn after 2 minutes in the sun and did not even wear white to my wedding, I prefer to indulge in such flights of fancy via some noncommittal means—books, movies, and of course, perfume. 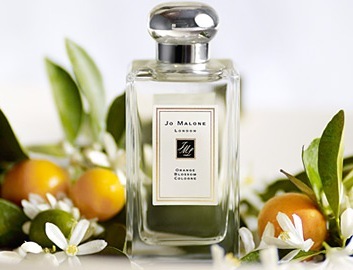 Jo Malone Orange Blossom is my recent serendipitous discovery, a simple and thoroughly delightful cologne that smells like the Mediterranean summer. Orange Blossom is exactly what it is advertised to be—a crisp rendition of a bitter orange blossom note, with a few leaves and twigs thrown in for a sparkling, green sensation. Simple though Orange Blossom is, it is not what the French call a sent bon (a good smell,) which after a while is liable to get boring. A twist of dark green, zesty citrus leaves gives the rich, indolic orange blossom and jasmine heart an interesting frame, while a hint of earthy vetiver lends Orange Blossom a sophisticated finish. 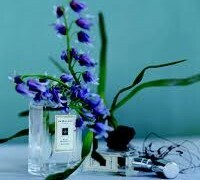 It evokes a scent of white petals mingling with that of salty, sunwarmed skin, as most good orange blossom colognes do. In contrast to the overpriced Tom Ford Neroli Portofino, Orange Blossom also lacks the common soapy musk finish that dulls many citrus colognes. 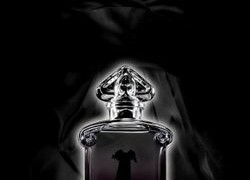 It is more along the lines of Annick Goutal Néroli, L’Artisan Parfumeur Fleur D’Oranger and Atelier Cologne Grand Néroli given its stronger floral accent. 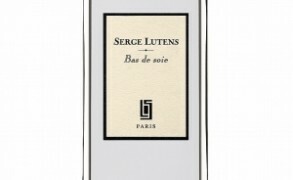 A pleasant alternative to bracing, gin & tonic blends (Jo Malone’s own Lime Basil & Mandarin, Frédéric Malle Cologne Bigarade, Eau de Guerlain and Hermès Eau d’Orange Verte) for those men and women who nevertheless like a classical bitter orange pick-me-up scent. Jo Malone Orange Blossom Cologne includes notes of citrus leaves, clementine flower, lemongrass, white lilac, lily of the valley, orange blossom, waterlily, iris, vetiver, and oakmoss. It is available from Saks 5th Avenue, Neiman Marcus and Nordstrom. 30ml, $55, 100ml, $105. Victoria: It is surprisingly substantial, although you would probably need to put on 3-4 sprays of it. Hannah: I want an orange blossom fragrance that smells like orange blossom pastilles. I found one at TJ Maxx (I think) but I never make impulsive purchases so I didn’t buy it. sweetlife: And here I thought you never mentioned it because you found it too simple or insipid! I wore it constantly last spring and summer–there is something addictive and comforting about it. Though now that you have talked me into loving Goutal’s Neroli so much I find I miss the punch of the green leaves. Victoria: 3 vs 4 took some thinking. In the end, in comparison to Neroli, I find Orange Blossom less nuanced. If I had a half star rating, I would give it 3 and 1/2 stars. Still, it is a very good orange blossom cologne. Way better than most others like Tom Ford and such. Victoria: I just discovered it, and I'm glad to have another nice orange blossom in my collection. PN + Orange Blossom sound so good together. Gayle Gorman: I use Mermaid Perfume and find it has a truly lovely orange blossom scent. The same Jo Malone fragrance smells harsher on me.